I'd always be grateful for how this craft paves the way for new beginnings. First, a new hobby that has become a catharsis for all dispiriting events; and now a door that gives me opportunities to meet different people across the globe. After my humble exposure on telly (thanks to ANC), I received an email from a man whose family tradition is to give personalized Christmas cards every year. 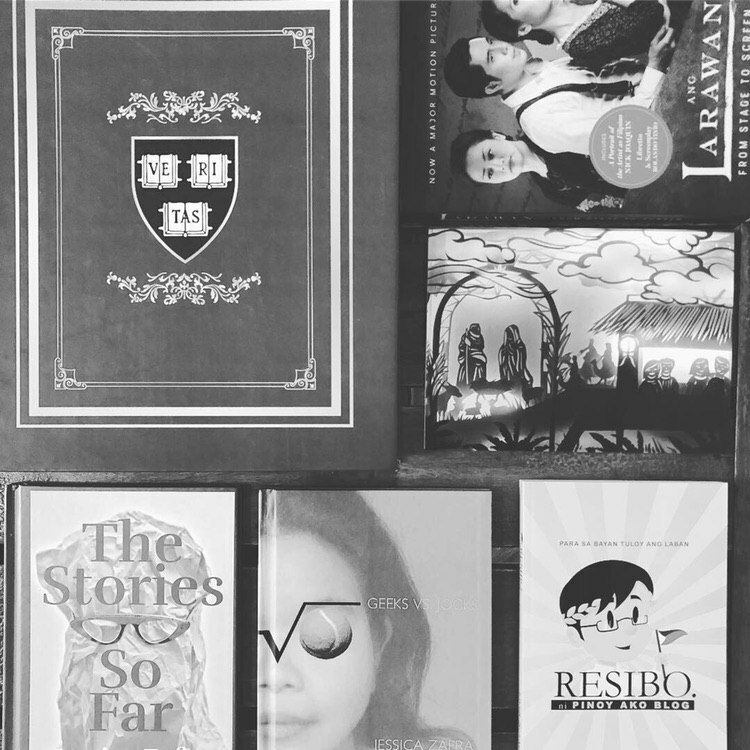 This culture has been exercised since 2003, and I was privileged to be indirectly part of it for 2018's holiday season. Used to creating one-layered flat papercut pieces, I welcomed this commission with a brave heart: to do something I haven't done before, that is, a multi-layered papercut. Along the process of creating the masterpiece, Sir Leo and I would communicate via email until the artwork was finally finished in September 2018. Then I handed him the commissioned work personally. When I was commissioned to do a Christmas-themed artwork, the first things that came to mind were the usual seasonal activities in the streets: children carolers, pop-up stores, lanterns and bright lights. However if one zooms out to see the bigger picture, one would realize that Christmas, at least from my point of view and in the Philippine context, is primarily about the birth of our Savior, and is a season greatly cherished together with our nearest and dearest. 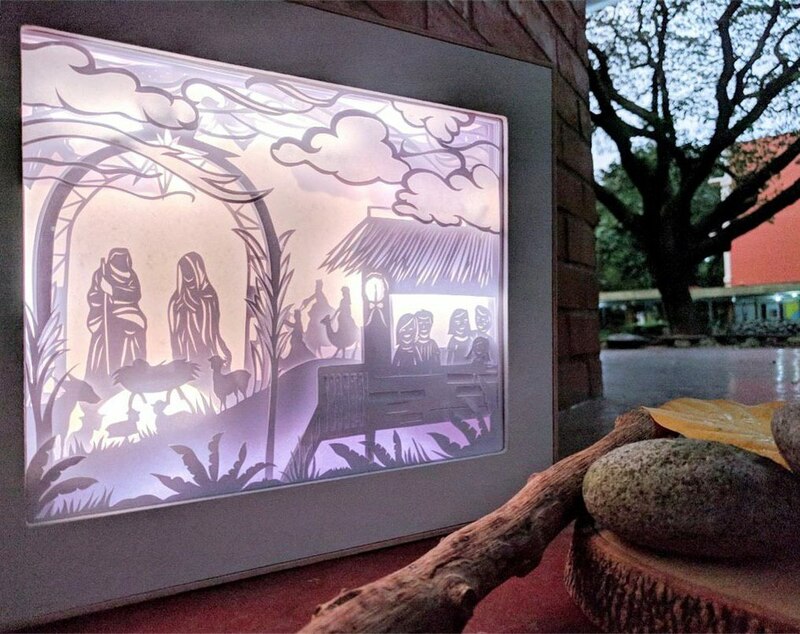 And so I decided to focus on the essence of the Nativity and the Filipino family. 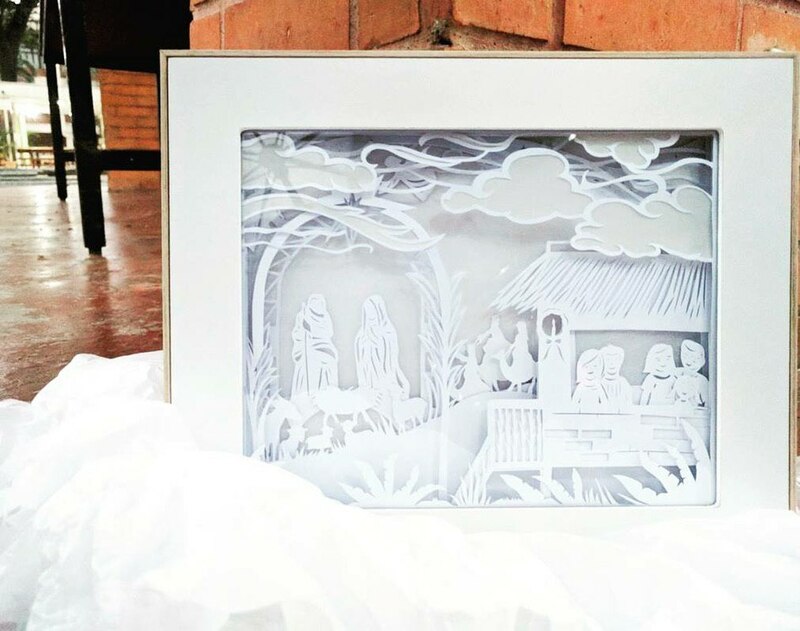 The piece consists of several layers of papercuts, all in white, to focus on the purity and simplicity of the season. LED lights are added not to overpower the landscape but to better reveal the oneness, meaning, and joy of Christmas. He also shared his experience throughout this whole process of sourcing to gifting on his own blog post. Indeed, this is another cherished encounter thanks to the art of papercutting.